José Naranja is a Spanish artist, writer, traveller and observer who takes this activity to greater lengths than most. 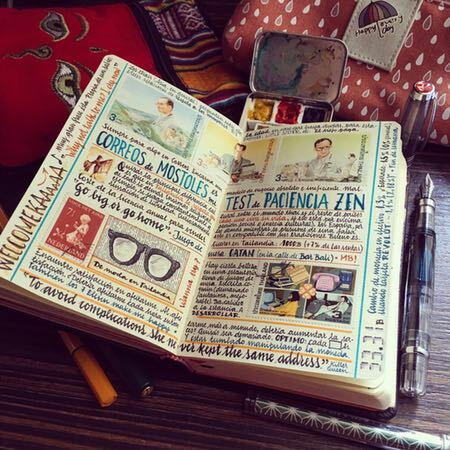 Naranja refers to himself as a “notebook maker and more”. After years of making journals in commercial sketchbooks and notebooks, he has taken to crafting his own, using high quality paper and binding the in leather in much thicker dimensions than those commercially available.